Why are the Gospels of Matthew, Mark and Luke so similar? The most popular theory - the "Two-Source" or "Q" Theory - suggests that the Gospel of Mark and a hypothetical "sayings source" (Q) were written first, then Matthew and Luke independently wrote their own Gospels based on these two sources. But the Q Theory is seriously flawed, and has been challenged by three other potential theories. The "Augustine" Theory asserts that Matthew was written first, then Mark condensed Matthew, and finally Luke copied both Matthew and Mark. 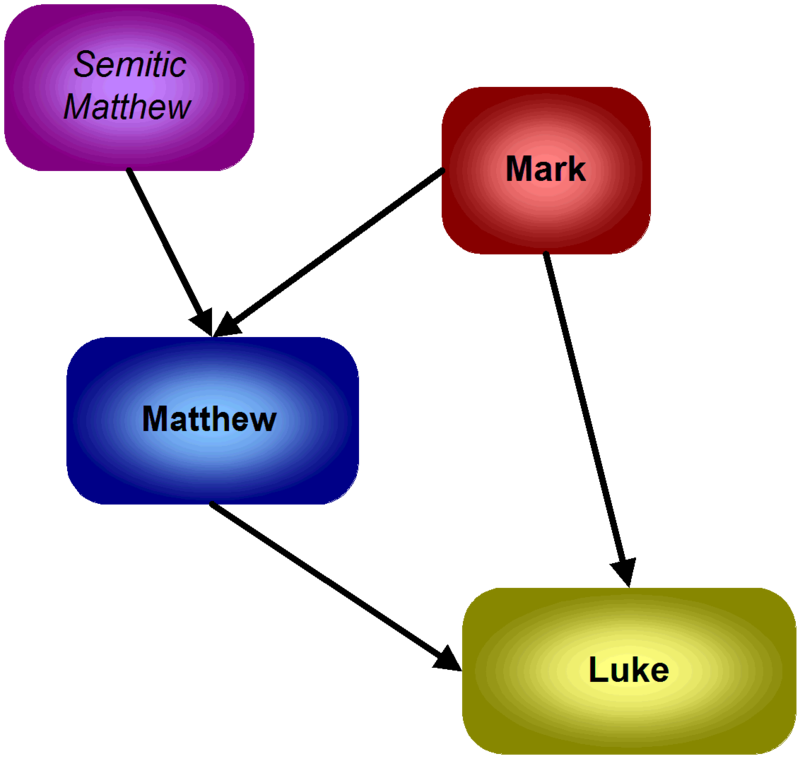 The "Griesbach" Theory also proposes that Matthew was written first, but that Luke then used Matthew as his source, and finally Mark was written as a compromise between Matthew and Luke. Both of these theories, however, have difficulty explaining why Mark would have been written after Matthew. The most promising theory is the "Farrer" Theory - that Mark was written first, then Matthew expanded Mark, and finally Luke used both Matthew and Mark as sources. The most common objection to the Farrer Theory is that it seems unreasonable that Luke would have re-arranged material from Matthew, which was already well-organised, in an apparently arbitrary manner. This is an aesthetic (not a theological) argument, and so requires an aesthetic (not a theological) answer. If we compare the structure of Luke's Gospel to the "Sonata Form" used by Classical Composers, we will find that Luke's organisation makes perfect sense as part of the dramatic structure of his Gospel. The "Journey to Jerusalem", which constitutes the middle third of Luke (in which most of the material from Matthew appears), corresponds closely to the Development section of Sonata Form, in which themes are juxtaposed against each other in order to achieve a dramatic buildup to the climax of a piece, which in Luke's case is his Passion Narrative. In the "Journey to Jerusalem" Luke juxtaposes different parables and stories of Jesus in order to illustrate what it means to be a disciple following Jesus. As a good story-teller, Luke also uses these stories to first create tension between Jesus and his opponents, then to ease that tension, and finally to build the tension once again toward his climax. The Gospel of Luke therefore makes perfect sense aesthetically and theologically, and there is every reason to believe that he could have used both Matthew and Mark as sources, as the Farrer Theory suggests, and hence hypothetical document "Q" becomes superfluous. Further, a pericope-by-pericope examination of Luke shows that he did not use Mark as a "skeleton" for his Gospel, as is often supposed, but alternated in large blocks (even in his Passion Narrative) between using portions of Matthew (which he freely mixes with material from oral sources in his own preferred order) and then using Mark (whom he follows almost exactly). This suggests that Luke was very familiar with Matthew's Gospel (and may well have had it memorised), but had only recently obtained a copy of Mark at the time he wrote his own Gospel. If Luke did use both Matthew and Mark as sources, then neither Luke nor "Q" have any relevance when considering the writing of either Mark or Matthew (since "Q" would never have existed, and the writing of Luke would have still been in the future). The Farrer Theory suggests that Mark was written first, then Matthew expanded Mark, but does not explicitly answer where the extra material added by Matthew may have come from. The early church father Papias had claimed that the disciple Matthew had originally written a Gospel in Hebrew (or Aramaic), and some advocates of the Q Theory equate this Semitic Gospel with "Q". But since "Q" has been rendered superfluous, there is no reason to limit the contents of a Semitic Matthew to the supposed contents of "Q". It is therefore proposed that Matthew did indeed write a complete Gospel in a Semitic language, a Gospel which contained all the non-Markan material present in the Greek Gospel we know as "Matthew", plus some significant overlaps with Mark (such as a similar Passion Narrative). This Gospel would likely have been two-thirds to three-fourths the length of our Greek Matthew. The Gospel of Mark was also written at roughly the same time as this. Then, at a later date, an unknown "Translator" produced what we now call "Matthew" by translating Semitic Matthew into Greek, while at the same time augmenting it with material from Mark (in a similar way that the translators of Esther and Daniel had augmented the original Semitic versions of those books when translating them into Greek). This scenario therefore upholds the priority of both Matthew (as the early fathers had claimed) and Mark (as modern scholarship has suggested), plus it explains why our Greek Matthew seems to be dependent on Mark, thus making sense of all the external and internal evidence. The proposed resolution of the Synoptic Problem is identical to the Farrer Theory, but with the one addition of the now-lost original Semitic version of Matthew. This theory holds regardless of how early or how late these Gospels were written. Most modern scholars date all three Synoptics to the last third of the First Century, but a growing number of scholars have begun to challenge these dates. John A. T. Robinson dates all of them prior to AD 70, and much evidence does seem to support this. Thus, Semitic Matthew was probably written around AD 40, with Mark's Gospel (based on his notes from Peter's preaching) following by AD 45. The translation and augmentation of Matthew would then have occurred by AD 50, making Greek Matthew available both to Luke and to Paul during the 50s (when most of Paul's letters were written). The ending of Luke's "Acts of the Apostles" before Paul's trial suggests strongly that it was actually written prior to that trial, most likely in preparation for it. 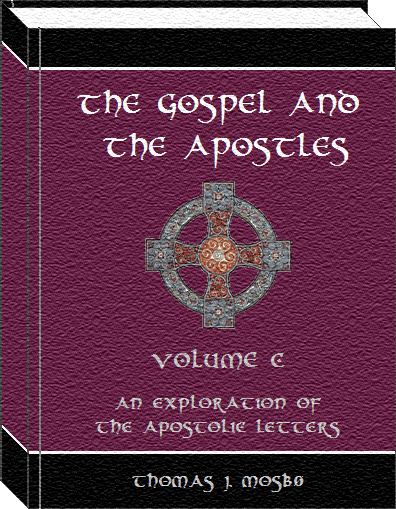 Both Luke's Gospel and Acts were therefore probably written in the very early 60s. Paul's letter to Philemon (and Colossians if genuine) tell us that Mark and Luke were present with Paul around the year AD 60. This meeting may have provided Luke the impetus to write his works, and would have given Mark the opportunity to give his Gospel personally to Luke [since Clement of Alexandria seems to suggest that unlike the other Gospel-writers, Mark had not made his work public, but had distributed it personally to those who requested it]. Luke then compiled his works using Matthew, Mark, and his own interviews of eye-witnesses (as he indicates in his prologue) as sources. 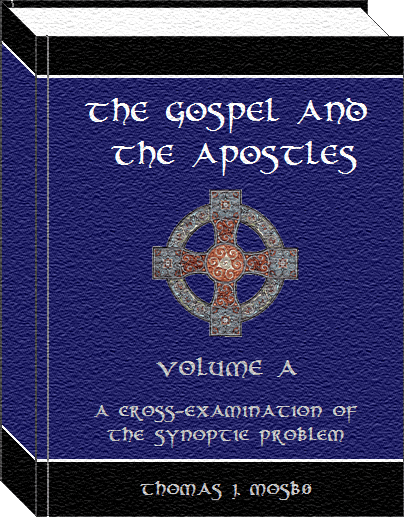 The three Synoptic Gospels therefore do not represent slowly-developed "traditions" about Jesus which reflect situations in the early church. Instead, all three present the credible eye-witness testimony of those who had lived with Jesus, and who had seen him crucified and resurrected. Hence, we will never get closer to the historical Jesus than we will by taking the canonical Gospels at their word. 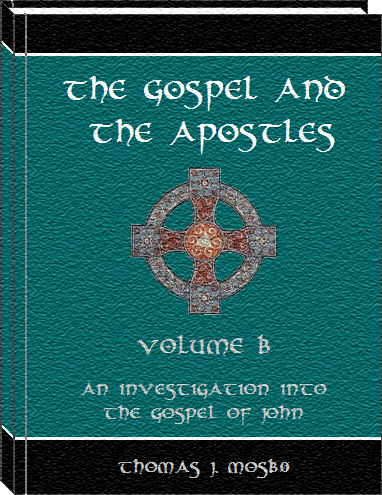 The Appendix to "The Gospel and the Apostles" provides important source data for the various analyses and hypotheses presented in the main body of the work. Most of this data relates directly to the Synoptic Problem.